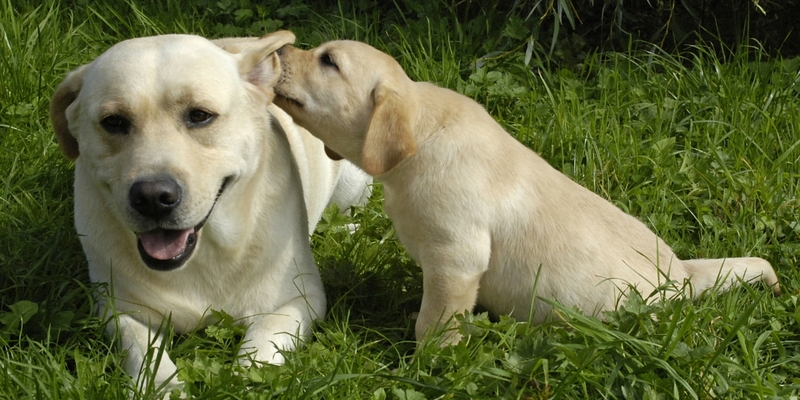 If you are just about to bring home a new Labrador puppy, you will want to make sure that you have done everything right. [wp_ad_camp_5]In this article we are going to answer all of your frequently asked puppy vaccination questions, and provide you with clear puppy vaccination schedules to follow. Helping you to make the right decisions when it comes to looking after your new puppy’s health. You may have come to the decision that there is little risk to unvaccinated puppies these days, but this is not the case. 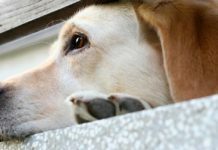 Depending upon where in the world you are, your puppy could be at very high risk of catching some very nasty diseases. The diseases you are at risk from differ between the US and the UK, so we will take a look at both for our readers. Regardless of your location though, your young puppy will be vulnerable and in order to give him the best chance of survival vacations are essential. Doesn’t My Puppy Get Immunity From His Mother’s Milk? 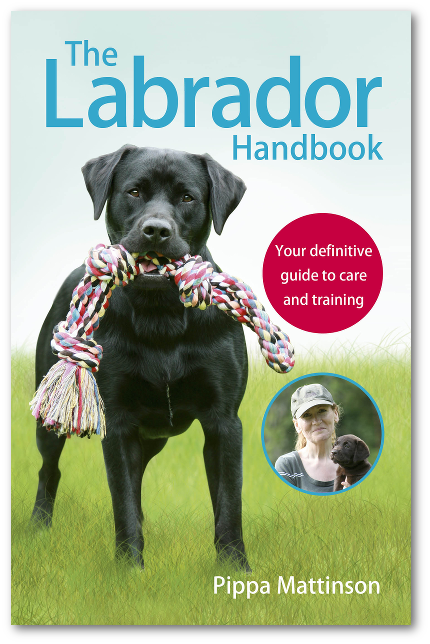 Your new Labrador puppy was initially protected against disease through his Maternally Derived Antibodies (MDAs). These antibodies can fight disease and your puppy gets them through his mother’s milk. However, they do not last long. And by the time you bring your puppy home, most of his MDAs will be gone. Indeed, it is important that they are gone by the time your puppy has his final vaccination because these MDAs can actually block the good work that the vaccination is trying to do. Bacteria and viruses that cause disease carry substances that your dog’s body can recognise as foreign and dangerous. We call these substances antigens. Because your dog’s body recognises the antigen as dangerous, once the antigens enter the dog’s system, it immediately begins to manufacture antibodies against them. This manufacturing process takes time. 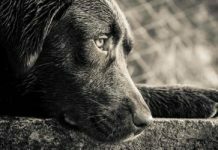 When infected with serious diseases, many dogs will be unable to manufacture sufficient antibodies in time to protect them from the disease. Vaccinating is a way of giving the body opportunity to manufacture a stock of antibodies in advance. A vaccination puts these antigens into the dogs body, without giving the dog the actual disease that they are associated with. What Diseases Can Puppy Vaccinations Prevent? The diseases your dog can be vaccinated against will differ depending upon where you are. 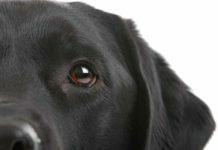 You can also optionally have your dog vaccinated against Kennel Cough. This is given nasally using an aerosol rather than as an injection. This will be the same wherever you are based in the United Kingdom. However, in the USA the risks vary to a greater extend depending upon where you are. 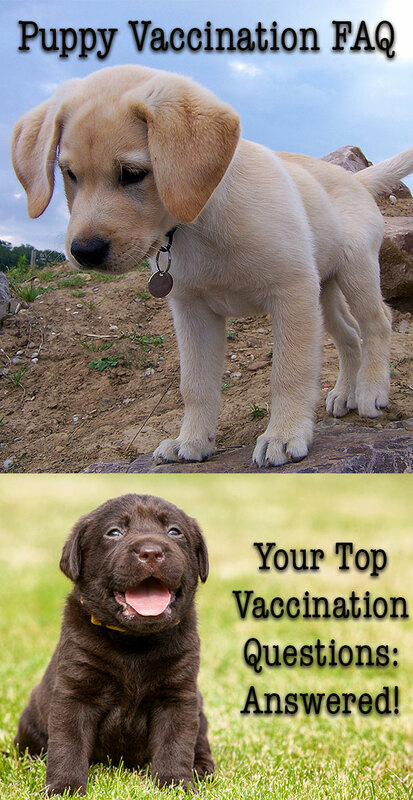 [wp_ad_camp_2]The number of vaccinations your puppy will need will depend upon their risk level for certain diseases. This will be affected by where in the world you live, what environment the puppy was brought up in and will be best advised on by your vet. 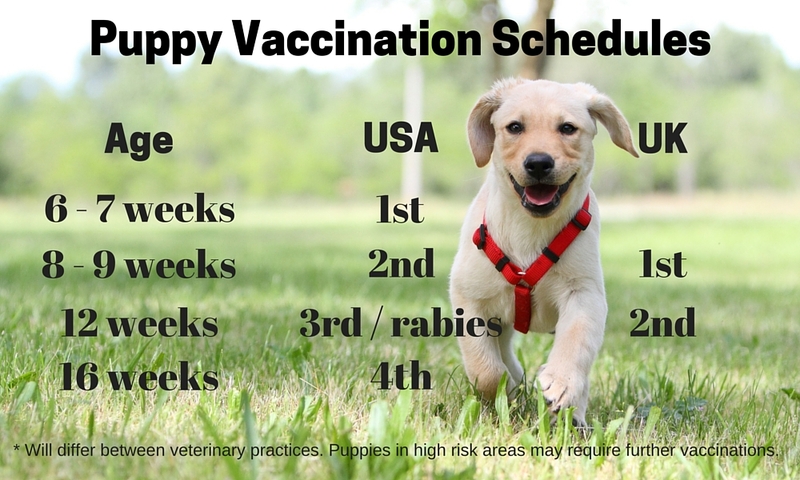 Take a look at the puppy vaccination schedule below to see the average puppy vaccination requirements. Why Do Puppies Need More Than One Vaccination? A single vaccination does not give such good long term protection against disease as two injections spaced apart. Some puppies will also have no protective MDAs by about seven weeks of age, when the first vaccination is given whilst others will still have some MDAs. In order to protect those puppies whose maternal antibodies may have partially blocked the action of their first vaccine, it is very important that you remember to take your puppy back for his second jab. 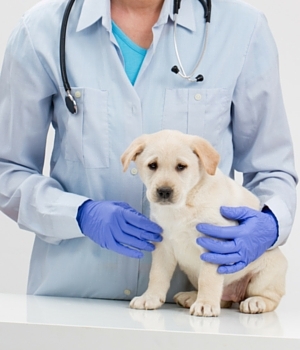 Puppy vaccination schedules will vary depending upon your vet, your puppy and your location. We have put together an average vaccination schedule for the UK and the USA, into a handy quick guide chart. Now let’s have a look in more detail at those vaccination schedules. In the USA a minimum of three sets of the combined vaccine are required. So if your schedule only includes three courses then don’t worry, this can also be standard practice. The short answer to this is yes, there are rare but recorded examples of dogs reacting badly to vaccinations. You need to balance this small risk against the benefits that vaccination offers to your puppy. We explain and discuss the important issue of vaccination safety in our extensive Vet Care article. You have probably heard you need to keep your puppy indoors until his vaccinations have ‘taken effect’. But many people are confused about when it is actually safe to take their puppy outside. Check with your vet, because different vets use different vaccines, but most vaccines are fully effective one week after the final shot. 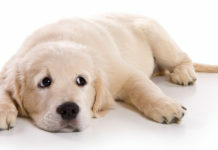 So if you are in the UK and your puppy’s final vaccine is given at 12 weeks, he can usually go and play on the ground in public places at 13 weeks. How Do I Socialise My Puppy If I Can’t Take Him Out? Some dog experts are very concerned about the emphasis some vets put on not taking a puppy out until vaccinations are complete. It is very important that puppies are socialised properly and the principle window for socialisation is beginning to close at around 12 to 13 weeks of age. Many vets will tell you that taking your puppy out and about before one week after the second vaccination is too risky. However, as this vaccination does not normally take place before 11 weeks old, this means your puppy would be 12 weeks old before you can begin taking him out and about. If you do not take your puppy out until then, this gives you just days in which to socialise your puppy. There is a compromise, and that is to take your puppy out and about, but to keep him off the ground. This way you can introduce him to quite a lot of new experiences, buses, train stations, town centres, different sorts of people, children etc. It isn’t quite the same as having him down on the ground, and it is more difficult to do with a very large breed, but it is a start. Some breeders and dog experts believe that you should allow your puppy to mix and play with other dogs provided they too are vaccinated and provided you avoid popular outdoor dog walking areas where there may be a lot of dog faeces. Only you can decide whether or not you want to take this risk, and you might want to consider other factors. If, for example your dog belongs to a guarding breed such as a Rotweiller, or Doberman, or if he is from a breed which is known to be potentially aggressive if poorly socialised for example a pit bull type dog, then the risks of aggression may outweigh your concerns over the risks of disease. These are all factors that you will need to weigh up. [wp_ad_camp_1]Most vets these days understand the socialisation dilemma. Talk to your vet about any concerns you may have. He or she will be able to let you know if there are any particular hazards in your area at the moment. And to help you make an informed decision about the best course of action for your dog. I am seeing online several different times to deworm my new litter of labs. When should I actually start and what is the best recommended dewormer? Hi Ken, You will need to speak with your veterinarian to get the most appropriate brand and information on exactly when to use it to protect the puppies. My lab who is, 7 month old is sick, some kind of foam coming from his mouth.. he is not barking or taking his food. Kindly suggest a remedy for this..
Hi Sudheer, You need to take your Lab to the vet. I hope he feels better soon. I rescued my dog and she was vaccinated with all the required vaccines while she was about 2 weeks pregnant when vaccinated. She had her puppies and they are fat and seem healthy. However, I have read that there is a concern for extended maternal antibodies and I have read that in some cases vaccinations do not create antibodies because of the mother being vaccinated during pregnancy, so there is no protection from disease for the puppy. I am worried about her puppies being protected. When should I start vaccinating them and what have you heard concerning this problem of dogs being vaccinated while pregnant. Thank you for sharing this needful information Because Many people are confused about when it is actually safe to take their puppy outside. My family is looking to get a puppy soon and didn’t know what dog vaccinations it needed. I’ve known they were important but didn’t know what kind of sicknesses a dog could get and what they shots cover. It’s a relief to know that there are ways to prevent, or lower the risks of out new family member to get sick. How much do the shots usually cost? I’ll be sure to pass this information on to my husband so that he is aware of the vaccine recommendations as well. I can’t wait to get our puppy! I have just read the above article, we have been to the vets for our 2nd lot of Jabs and our Lab pup still has one to go. I’m now feeling rather confused and I will speak with our vet. Socialisation has been a bone of contention he’s a big pup for 1o weeks I physically cant carry him for long periods of time however we have been blessed with good weather and have had lots of BBQs, friends visit us or should I say the puppy and he loves the attention. My labrador male is of two and half months. Which food I have to give. Hii pippa my puppy is just 10 days old is it gud to vaccinate him to secure from other disease. Ur giving such a good advice to everyone im looking for a best answer for my pups .should I vaccinate them at 10 days r wait till tey are 6weeks. I had no idea that the risk of catching so many diseases was still so high. I’ve always been a proponent for vaccinations, so I’ve always gotten my puppies vaccinated anyways, but it’s certainly interesting to know. Knowing the vaccination schedule is important too, so thanks for sharing it! Hi there. I have a 6month old yellow lab Nutmeg and she is our only baby. We currently live in China and the vets here are, lets say, not too caring when it comes to dogs. We got our puppy at 4weeks from a not so good breeder. She had kennel cough and then Parvo, but with all the prayers and loving care she made it. She has finally got her second vaccination and will be getting her 3rd on Thursday, together with a Rabies shot. The vet told us not to take her out 3weeks till after her 3rd. Should we wait this long? I play with her for several hours a day and let her roam around on the balcony just to see the open world, but I feel like its not enough! I so desperately want to take her outside and make friends, could you please give me some advice? Hi. I am thinking of getting a lab puppy. Approx How much do the vaccines cost in the UK? Hi Pippa! I have a 45 days yellow lab female. She is not as active as she needs to be. She always wants to sleep. Is it normal? 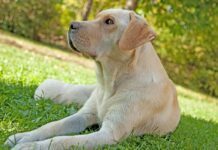 how many times does my lab puppy pure breed should take a 5-in-1 vaccine? Does it still need an anti-rabies vaccines? I bought one puppy Labrador before one week and it was vaccinated, after that I bought another puppy Labrador which has been dewormed and will get vaccination after 10 days so can I let both the puppies stay together? 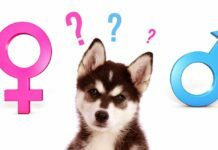 My puppy had his first injection at 7 weeks and now his second injection at 9 weeks when it should have been 10 weeks – is this wrong? Will he need another one to top it up? I’m looking at buying a lab puppy and everything with the pup through its first five weeks was going well, according to the breeder. But this week, the pup gained a lot of weight, despite not eating any more than normal, and the vet thinks it has something to do with her thyroid. Isn’t she too young to have this disease? I am a first time puppy owner and after adopting my rescue pup, I happily took him out and about to the park without knowing about the second vaccination rule! I feel like an idiot now as he has come into contact with other dogs since his first vaccination at the shelter. What should I be looking for in case he has picked something up? Hello, I have a husky 8 weeks old. I am trying to potty train her, can I take her outside without her shots? I have a spot in my front yard, half grass and half cement? My 12 week old Golden Retriever had her second vaccination 6 days ago. As I am off work, it seems the perfect time to have her out and about. The vet said to wait 7 days but will one day make much difference?? My 11.5 week old puppy is due for his 2nd jab today and I was wondering how high the risks are of him catching something if I take him out in a couple of days. Just discovering what a great website this is – a wealth of info & great advice! Thanks for the platform! 🙂 So, I understand from the research I have done so far that the 1st shots are given between 6-8 weeks and the 2nd at the 10-12 week point. Is that right? When we get our lab ( in Aug) he will be 9 weeks old and my worry is whether I should ask my breeder to do his first round ( specifically since we will miss that time frame to carry it out ourselves). I have spoken with our vet about it and he has said just bring him round when he is with us ( so mid way through the 9 wk point), but I’m being an anxious puppy parent & worrying! Pls let me know your thoughts? Ta! I just brought home an 8 week old black lab mix. I was told that she needed to go back in 10 days for her second round of shots. I was also told she has been dewormed. She was not from a breeder, and I wasn’t given info on what shots she has been given and what exactly she needs. This is my first puppy, so I’m somewhat ignorant on exactly what steps I should take. The puppy will only be 9 and a half weeks by that time. Is that too early for the second round of shots? Whether or not it is too early will depend on your vet’s approach (they vary) and on when the first shots were given. It also depends on where you are located as different parts of the world require different vaccination schedules. You need to find out the date the shots were given, and contact your vet. He or she will then tell you when to bring your puppy in for the next lot. Better still, take the puppy in for a check up in the next day or so, and talk to your vet in person.